By request, this edition of World-Wide Wednesday will zoom in on the naming traditions used in Romania and Moldova in eastern Europe. In Romania, there are customs that revolve around man's three most essential human events: birth, marriage and death. We're going to focus just on the birth customs and those surrounding children, their parents and their names. TravelGuideRomania.com says: "Birth related customs regard the grown-ups: besides parents, there are the midwife and the godparents. When the baby suffered from an illness or faced danger, the custom was to change the baby’s name into “The Bear” (Ursu) or “The Wolf” (Lupu), in hope of avoiding the risk of being “recognized” again by that danger in future. This custom also implies the idea of the baby’s “death and resurrection”." 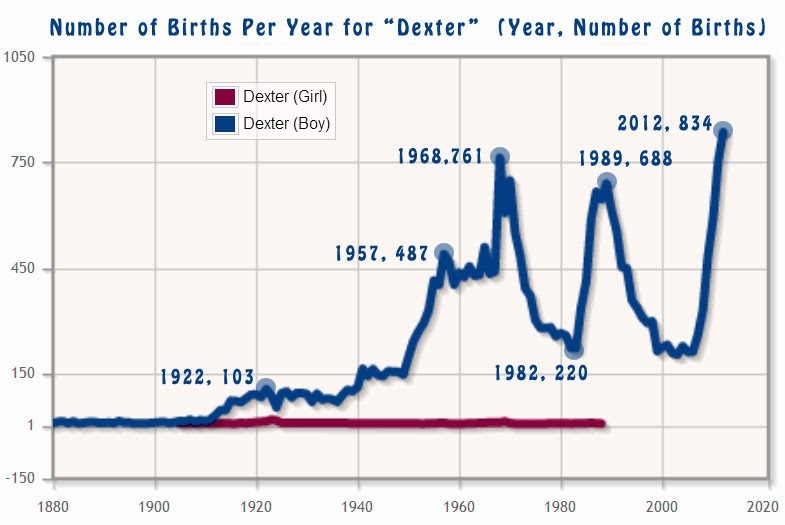 It is interesting that they would change the child's name to avoid dangers. This is a new concept that I had never come across before. That site also discusses the other customs and daily life if you're interested in learning more. Then there is the more ancient customs found in Romanian Folk beliefs. Many of the specific things are no doubt dated and not commonly practiced today, but this article from folklore.ee is full of information regarding these practices. It mentions the birth customs this way: "The Romanians, as well as other nations have always expressed joy about the arrival of a new-born child in the world. An old proverb said: `The more children, the richer the Romanian'. So, one of the most ardent desires of the newlyweds, especially the bride's, is for the mighty God to bless them with sons and daughters." Then it describes the very important guidelines that a pregnant woman needed to follow to remain healthy and avoid any harm falling upon her and the baby, whether it was physical or spiritual. There was much fear regarding evil spirits and becoming bewitched; these things would be blamed if the child were lost. Some of these practices may sound a bit strange to us in the modern day, but these were taken extremely seriously in order to protect the child. Personal Name + family name is typically used in conversation. Family name + personal name is typically used in official documents. 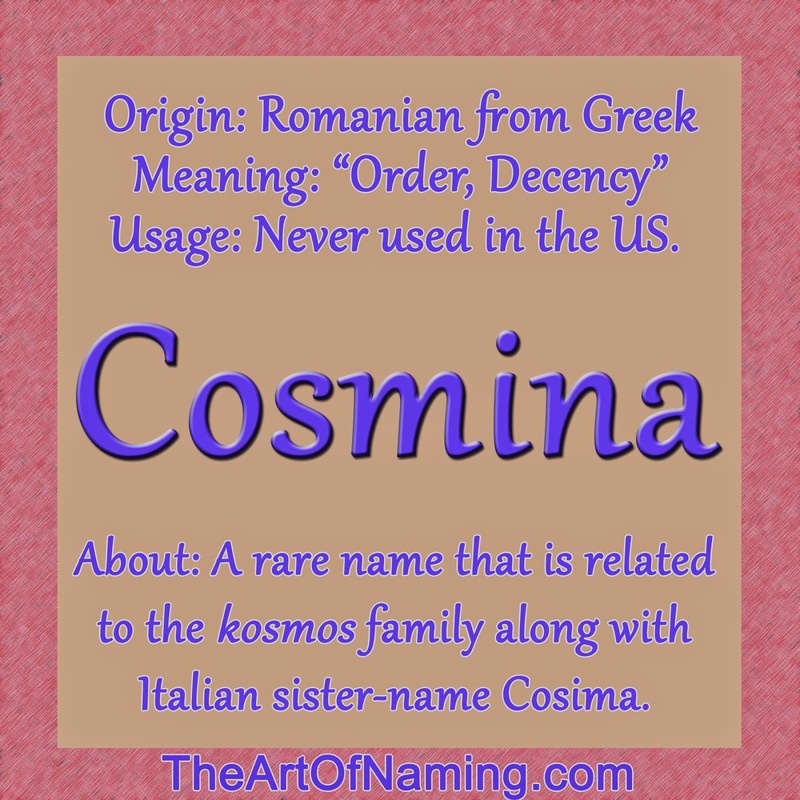 A Romanian will often introduce himself with his family name first, particularly in any official context. Common endings for Romanian family names include: -escu (meaning "son of"), -eanu, and -aru. Traditionally, it is appropriate for a wife to take her husband's family name. Very few woman choose to keep their maiden name instead, but it does happen. Also, children do inherit their father's family name. 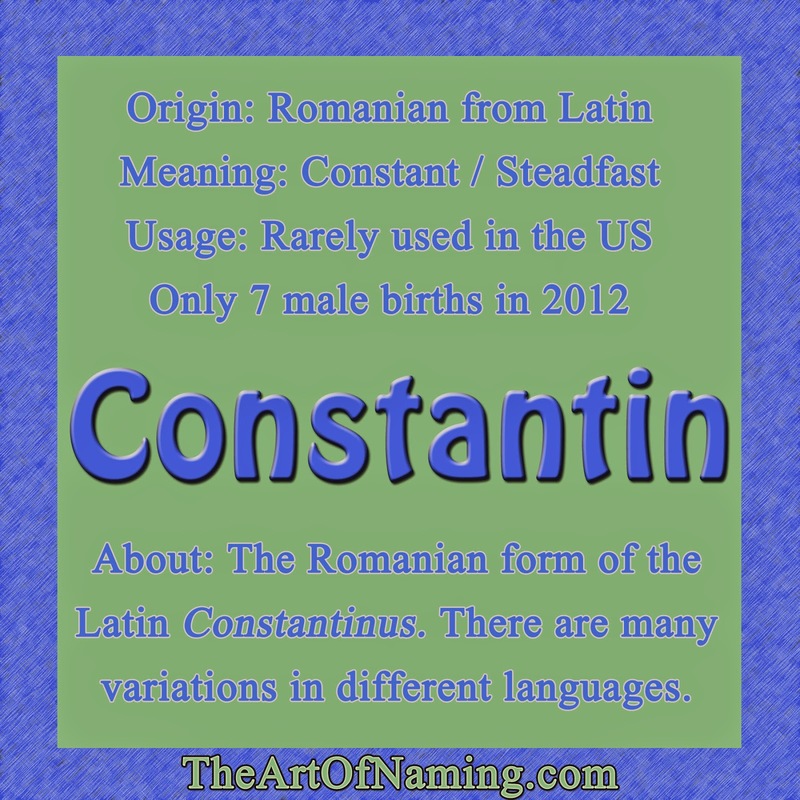 There happen to be a lot more "Romanian Only" names for boys than there were for girls. However, that does not mean that the girls' names are limited. There are so many more listed for common usage in Romania but they are also used in other countries. I only included the ones that are strictly Romanian. 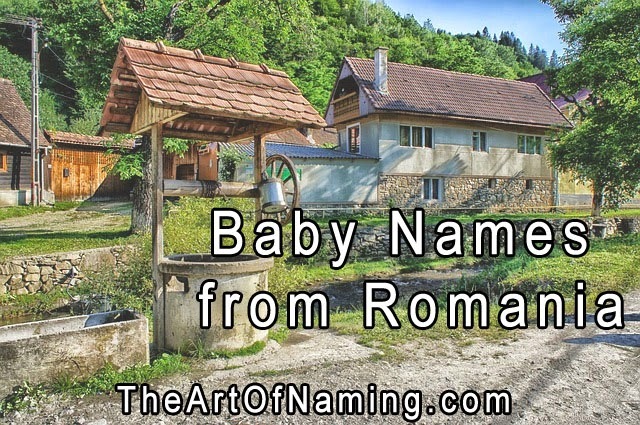 If you would like to see the other names that are commonly used in Romania or learn more about the listed names above, I encourage you to view BehindTheName's extensive list! Which of these Romanian names do you like best? Do you have any thoughts about any of them? Many people today have no idea what their name means nor are they very concerned with discovering it. Many new parents don't take it into consideration and just consider it "a nice bonus" if the name they chose happens to mean something pleasant. That is what the overwhelming majority of you believe also, according to the poll on the sidebar of the blog. 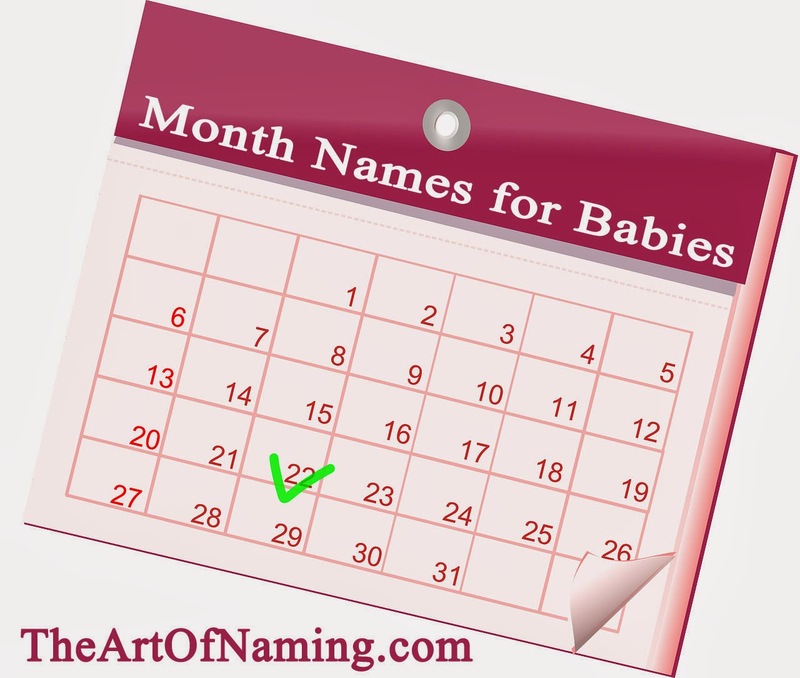 However, there are a few that believe that having a good, positive meaning behind their child's name is essential to the naming decision. After all, part of what makes a name beautiful is its meaning. There are even some cultures that put meaning at the forefront of the naming decision (see African and Japanese names) and yet it tends to get overlooked in many English-speaking countries. Why? Why is the meaning of your name, or your child's name, important? Or rather, why should you view it as an important factor in the naming decision process? First of all, we can all agree that names are essential in life. It is how we are identified from day to day. Often, people will go above and beyond in their respective fields to ensure that their name stands for something now and in the future. People have a desire to make a name for themselves and see their name in lights. Names are important. Shouldn't the meaning of our name have some kind of impact on us? Shouldn't the meaning of our name give us a deep-rooted sense of identity beyond what our personality or job title may offer? Some may argue that they have never known what their name means and were no better or worse for it. I think that is a narrow-minded view. Perhaps you don't view it as necessary in your life, but it doesn't diminish the importance that the meaning of a name may have on the lives of others. You shouldn't deny your children of a nice meaning. Give them the benefit of the doubt. Perhaps it will mean a lot to them. After all, wouldn't it be nice to have something to identify with? A basis for the way you view yourself and treat others? It couldn't hurt! As I mentioned before, other cultures place much significance on the meaning of a name. In Africa, names are meant to give children something positive to strive toward. Many believe that it will have a major influence on the lives of the child and the family as a whole. There is a delicate balance between giving a child a name that is too ambitious and a simple name that may not yield high enough expectations. Many African names also reflect the parents' hopes, aspirations and dreams for the child, or they may have to do with their fears, their religious beliefs and their own philosophies about life and death. Sometimes these names can provide outsiders with an idea of the culture and events surrounding the time of their birth. While the parents should never impose their own belief system on their child, it is beautiful to give them a foundation to build upon as they make their own choices in life. Perhaps they'll suit their name or perhaps not, but at least the parents tried to provide something positive. While I can agree that the above example could be more on the extreme side of the naming spectrum, I like the idea of providing a sense of guidance right from birth. With a name that means faithful, happy, pure or loved, the child can have something to work toward. When you think of the contrary, having a name that means something like dark, bald, crooked nose, or even something like "field by the river", it does not provide much for the child to work with. I like to stress the importance of at least acknowledging the meaning of your child's name. You do not have to write names off simply because they don't have a "perfect" meaning. But do at least consider options that have something good behind it. There are many names that mean noble, friend, wise or strong. Any of these would be so very lovely to grow up with. There is also something beautiful and poetic about having a first and middle name whose meanings flows nicely into one long phrase. However, we are all different with different lives we lead and different meanings behind our names. I'd like to encourage you to research your own name and think very thoroughly about the names that you have picked or may pick for your children. Perhaps if you find it difficult to choose between two name choices, you could go for the one with the greater meaning. This is a great method for narrowing down options. What do you think about the importance of the meaning of a name? If the meaning of your name has never had any impact on you, perhaps now is the time to reflect on it. For parents who are looking for a strong but feminine name, look no further than these! This is a compilation of girl names that contain the letter X. While this letter is a bit hotter for masculine names, there are still plenty of lovely choices for a girl. From the traditional Alexandra to the elegant Margeaux and the spunky Roxanna, this list is a treasure trove of amazing gems! 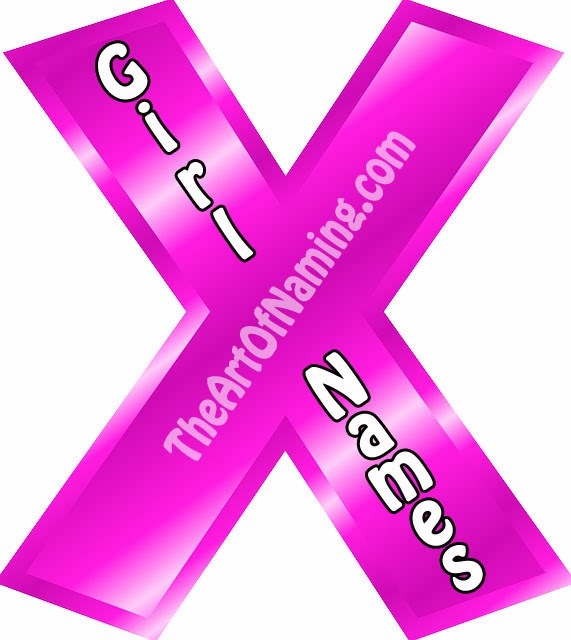 What is your favorite feminine name that has the letter X in it? 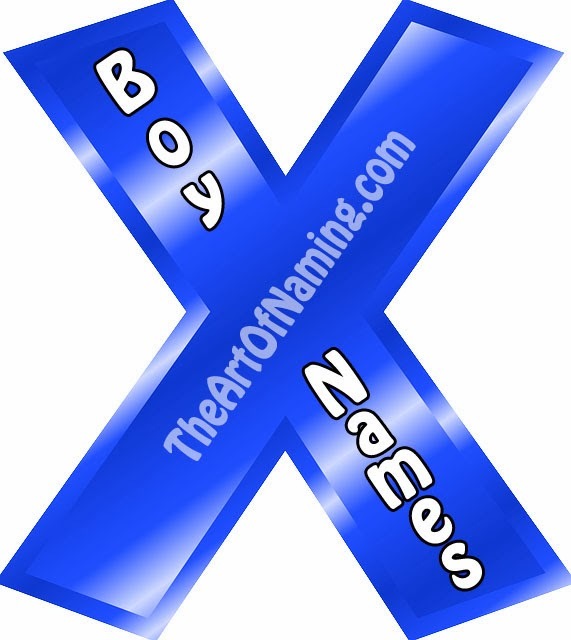 If you liked this list, be sure to take a look at the Xcellent Names for Boys list too! The letter X is bold and interesting. While there are attractive names that begin with the letter X, options are somewhat limited. There are, however, quite a few options that contain the letter X within the name. Let's take a look at some names that contain this letter and are not currently ranking within the top 1000 names. 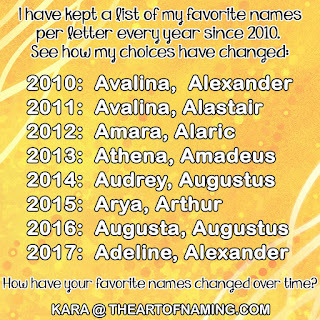 If you're looking for a unique and bold name, this list is for you! This name has been floating around the forums here and there recently. However, many parents seem to prefer Beatrice instead. Do you like the bold and sassy Beatrix more? She certainly offers the same nickname of Bea, but she'll also give you Trixie which is adorable and playful. She comes from the name Viatrix which is a feminine form of the Late Latin name Viator meaning "voyager or traveler". This name was later altered due to its association with the Latin beatus which means "blessed". However, contemporary sources seem to insist that this name means "Bringer of Joy" or "She who brings happiness". Either way, Beatrix is a playful, adventurous and happy name for a modern girl. I have always admired Calixta and similar names like it but it seems as though I'm one of a few who do. Calista peaked in 1999 thanks to Ally McBeal's leading lady, but none of the other Cal- names seem to be loved. This includes the masculine Calix, Calixte and Calixto. I think it is a pity that these names haven't caught on. After all, they stem from the Greek Kallistos which means "most beautiful". I'd say that's a very desirable meaning. Some of the variations even belonged to popes and saints. Calixta is listed as the Spanish and Portuguese form. Lux is the Latin word for "light". This could be used for both boys and girls but I chose to list it for a girl. This name has only been in use since 2001 in the US despite being rooted in ancient Latin. The Spanish form, Luz, is much more popular than Lux for a girl. I happen to like the quirkiness of the unexpected X in Lux a bit more. This would make for a very cool middle name to balance out a very long and feminine first name. Penelope Lux? Alexandra Lux? It is pronounced like "lucks". Before you yell at me for offering you a "dated" name, hear me out. I agree. Roxana is old. She dates way back to the ancient Roman and Greek era. She also saw lots of love in the 17th century, even inspiring a novel in 1724. It is the Latin form of Ρωξανη (Roxane), the Greek form of the Persian or Bactrian name روشنک (Roshanak) which meant "bright" or "dawn". I think this name could make a lovely and graceful come back someday. Many parents already love names with Ana- or -ana in them. Throw in the fun and spunky X and this name is even better! Plus it works internationally! Speaking of international names, the lovely Xiomara is most popular in Spanish communities. However, it comes from the name Guiomar which comes from the Germanic Wigmar meaning "famous in war". The masculine Guiomar has medieval, Arthurian roots as a cousin of Lady Guinevere. However, Xiomara is very feminine and well used in Portugal and Spain. It still resides outside of the US Top 1000 but it is far from unheard of. Baxter is interesting. It is used as a masculine name but it comes from an occupational surname that means "(female) baker" in Old English. However, it tends to commonly refer to a baker of either gender these days. The X in this name definitely jazzes it up and makes it that much cooler than just Baker as a name. Plus, Bax would fit in with all the boys named Max or Dax or Jax. An unusual but cool option! Win! Huxley is a very distinguished surname name. It most famously was worn by author Aldous Huxley who wrote the novel Brave New World. Huxley is another spunky first name choice for boys that is still flying under-the-radar. It remains unranked but it would fit in well with many of the more popular choices today. 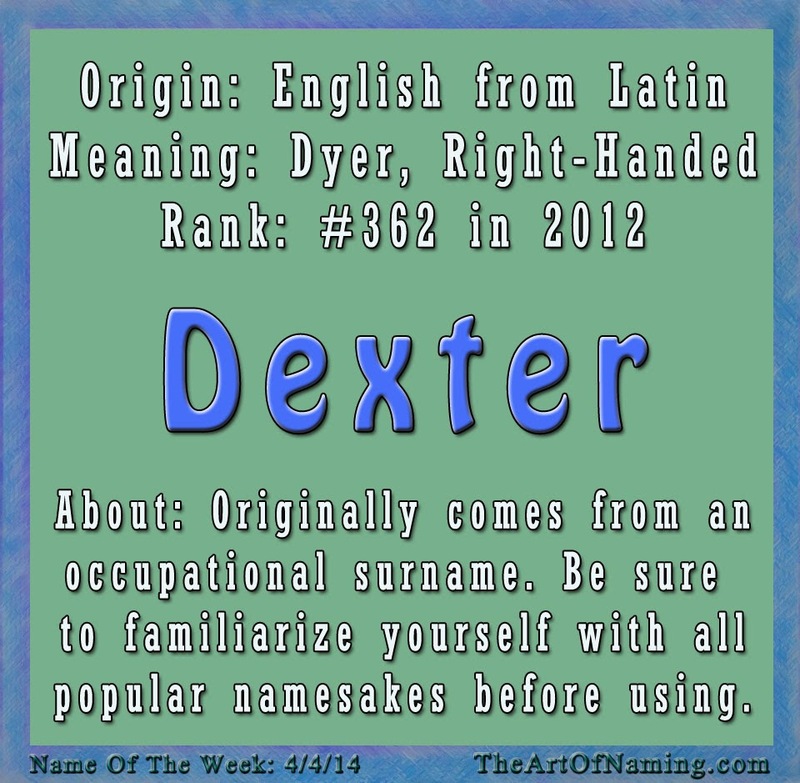 Plus, the nickname Hux is cool! Maxen is the Welsh form of Maximus which means "greatest" in Latin. It ranks on the unusual and unknown side of the plethora of Max- names but it is one of those "short and sweet" names. If Max is too short for you, Maxim is too related to the magazine, and other options like Maximilian are too long, Maxen is a great choice! It is bold, unique, to-the-point and very cool! This is a name that I cannot actually find in very many databases. It clearly exists but nobody seems to pay it any mind - at least not enough to write about it. Since information is limited, I can tell you that Theroux is most commonly a surname. Perhaps it just hasn't made the transition to a first name yet. Ancestry sites classify Theroux as a French surname with an uncertain origin. It could be the plural variant of the Occitan name Théron which means "well" and refers to someone living near the wells. It could also simply refer to someone from Toulouse, France. I think Theroux could join the ranks of other surnames being used as first names. This is a masculine name, brother to the feminine name Xanthe. It comes from the Greek Ξάνθος (Xanthos) meaning "yellow" or "fair hair". Xanthos is the Greek form while Xanthus is Latin; these are used rather interchangeably. It was worn by many characters in Greek mythology and it is also the name of an ancient city in present day Turkey. 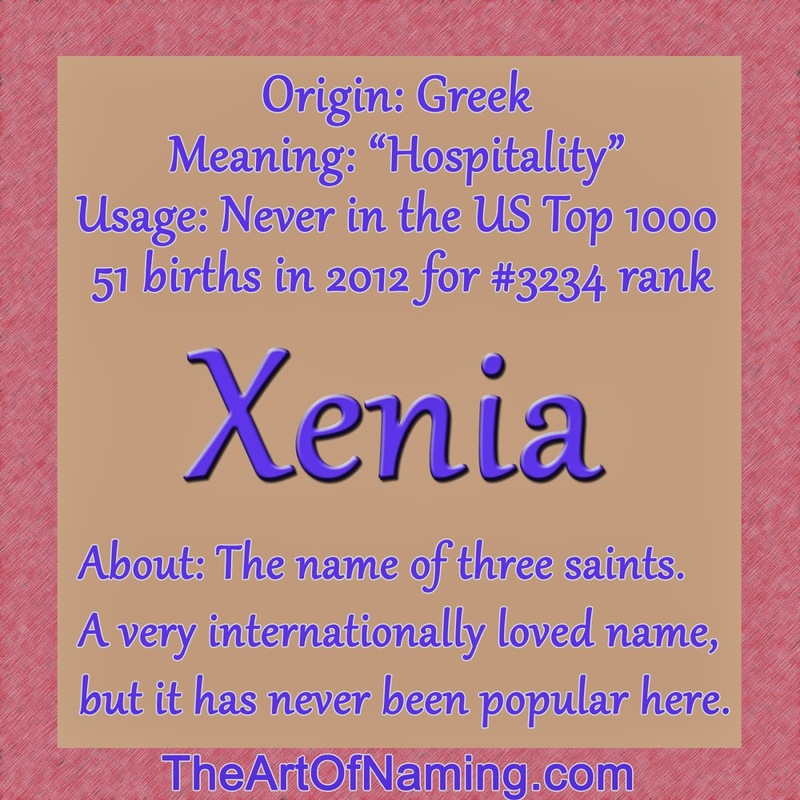 As a baby name, Xanthus strikes me as a very cool and unusual choice. It is bold, full of history and virtually unknown. I love the nickname Xan, which would fit in with any and all Xanders or Alexanders who also use it. What do you think of these unranked and under-appreciated X names? Which is your favorite? There is no denying that the letter X is a hot one. As part of a trend that I myself fell prey to with my Maximus Alexander, many parents are finding themselves in love with the X. There is something bold and strong about it but there's also a limited amount of names that contain this letter so it has become somewhat of a sought after gem. If these kinds of names are up your alley, perhaps you'll enjoy this post! Here are the very best boy names that contain the coveted letter X. Which is your favorite? Have you used a name that contains the letter X? Do you have a favorite on your list? If X isn't your thing, do you have a favorite letter or sound within a name that you're a sucker for? Share your thoughts below! And don't forget to check out the most Xcellent Names for Girls too!